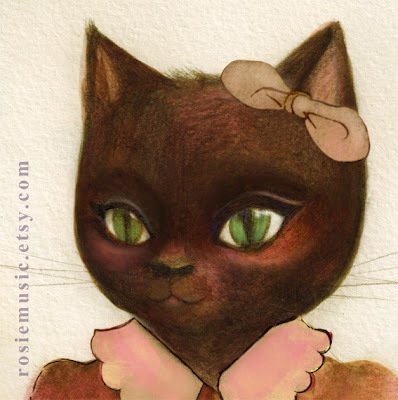 I recently discovered the beautiful art of Rosie Music. 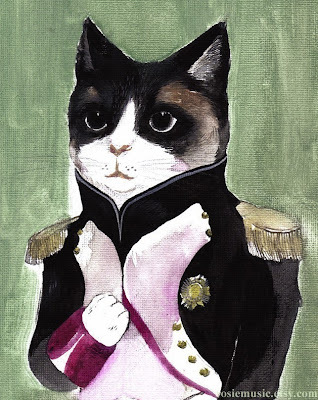 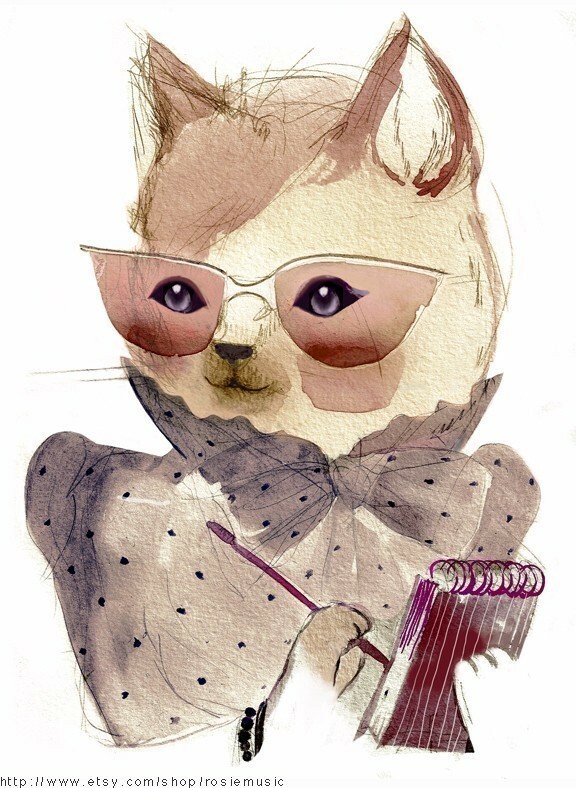 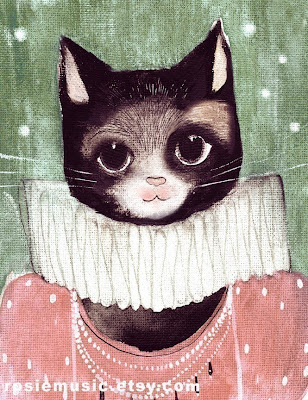 Inspired by "fashion, music, travels, and children's book illustrations", these dreamy pet portraits bring out the more refined side of the elegant feline. As an added bonus, in addition to the prints seen below, the shop also stocks many of the designs on t-shirts, sweatshirts, and tote bags!